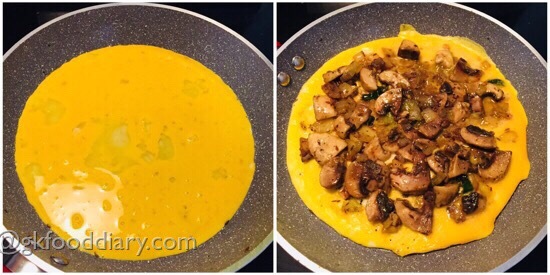 Mushroom omelette – easy, tasty and healthy recipe with eggs and mushrooms. 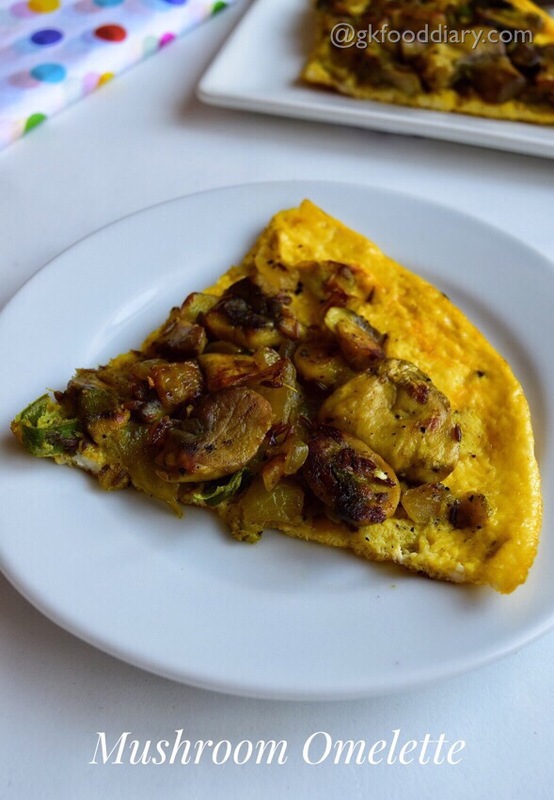 I used to try different omelette recipes and this one is my recent try. 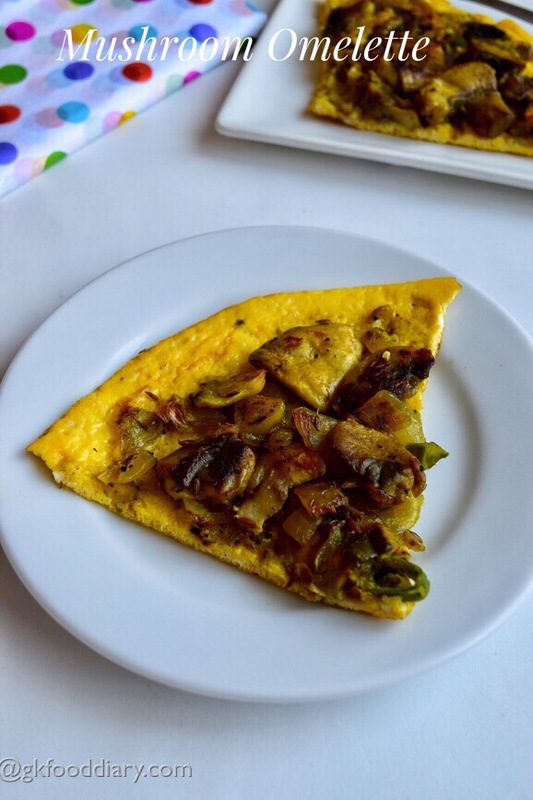 Mushroom Omelette is a delightful snack and true winner recipe with kids as it is light, fluffy, has a nice flavor and tastes sumptuous. 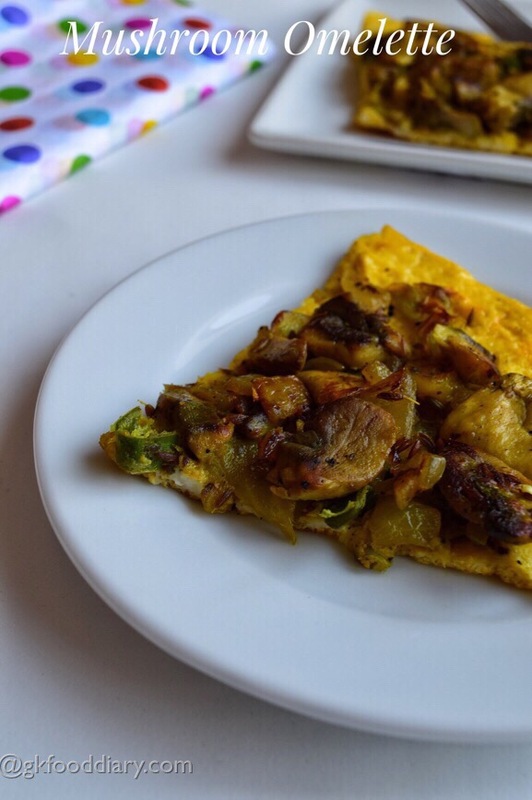 You can give this mushroom omelette to kids as a breakfast or a snack from one year as a finger food after introducing mushrooms separate. Now Let’s get on to check how to make this easy mushroom omelette recipe for toddlers & kids. Keep all the ingredients ready. 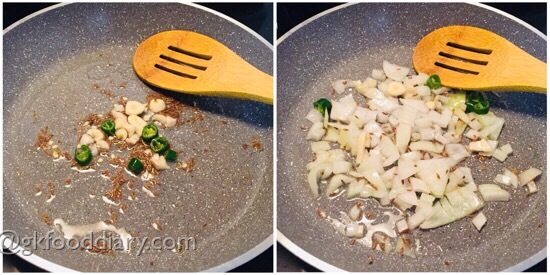 Slice onions, garlic and green chilies. Wash mushrooms thoroughly and slice them vertically into pieces. Heat a pan with a tsp of butter and add cumin seeds. Let it crackle. Then add sliced green chilies and garlic followed by onions. Saute everything until onions turn golden brown. Crack and open the eggs. Then beat the eggs until frothy and fluffy with a fork or hand whisk. Add required salt. Mix well. 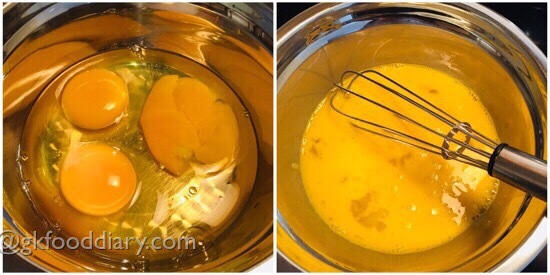 Heat a pan or tawa with another tsp of butter and pour the beaten eggs to it. Now spread the cooked mushroom mixture over the egg and press it with a spoon. Cook it in low medium flame for 3-4 minutes. Once the omelette is cooked on one side, turn the other side carefully. Cook it further for two minutes. Switch it off once done. 1. Keep all the ingredients ready. Slice onions, garlic and green chilies. 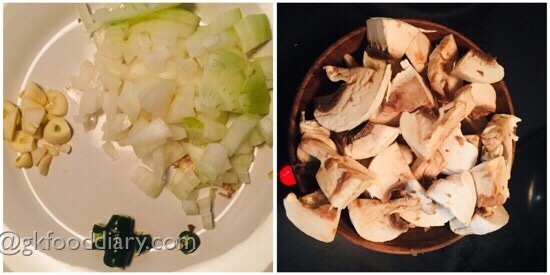 Wash mushrooms thoroughly and slice them vertically into pieces. 2.Heat a pan with a tsp of butter and add cumin seeds. Let it crackle. Then add sliced green chilies and garlic followed by onions. Saute everything until onions turn golden brown. 4. Crack and open the eggs. Then beat the eggs until frothy and fluffy with a fork or hand whisk. Add required salt. Mix well. 5. Heat a pan or tawa with another tsp of butter and pour the beaten eggs to it. 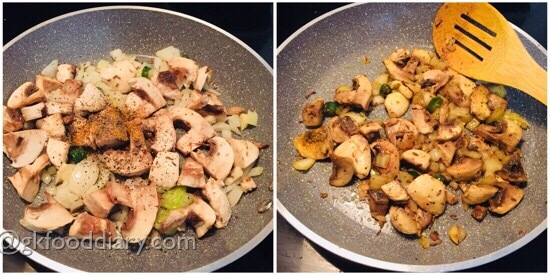 Now spread the cooked mushroom mixture over the egg and press it with a spoon. Cook it in low medium flame for 3-4 minutes. 6. 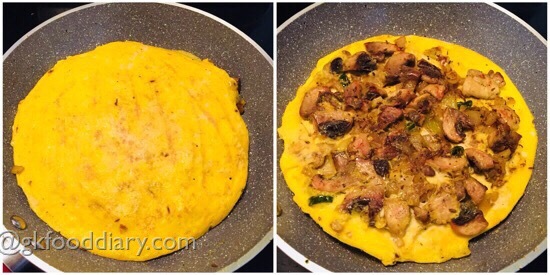 Once the omelette is cooked on one side, turn the other side carefully. Cook it further for two minutes. Switch it off once done. The tasty mushroom omelette is ready! 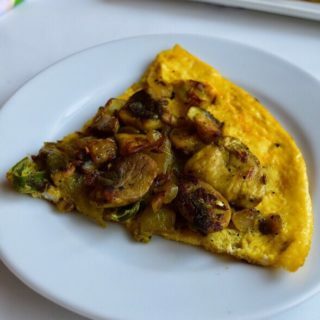 You can use button mushrooms variety to make this omelette. 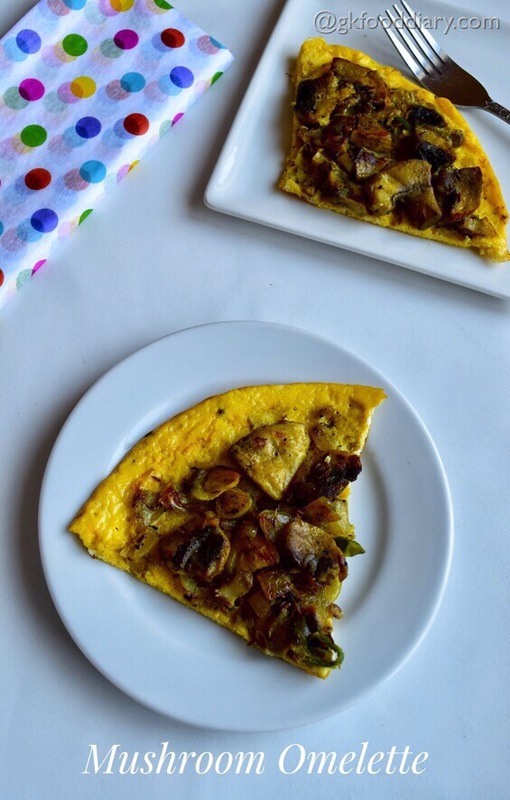 Make sure to introduce mushroom and eggs separately before you try this mushroom omelette for your child. 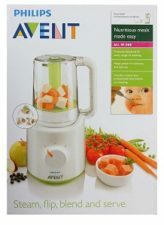 You can even skip green chilles for small babies. Add a tbsp of cheese at the end for extra taste.